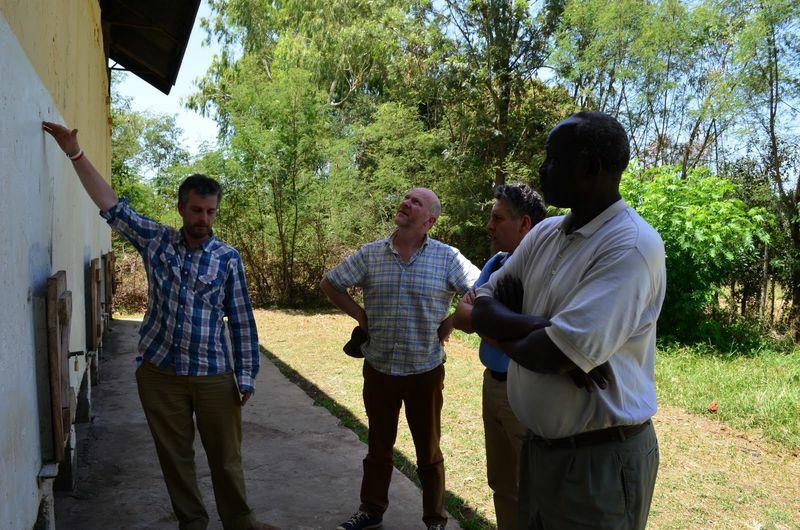 This project will bring food security to 100 vulnerable families in Uganda's most inhospitable region. The Namalu village in Karamoja is remote and has little capacity to store food so every year when stores run empty, food prices go through the roof and the most vulnerable families go hungry. We purchase maize from local farmers, store it in purpose built silos and distribute it to vulnerable families at low prices. We then re-invest your money to buy more maize to refill the silos every year. Watch our video which was taken during our last Project monitoring visit. Extreme floods and droughts over successive years have affected crop yields, pushed the price of food up sharply and left thousands of Ugandans in Karamoja critically short of food. Even when the growing season is unaffected by severe weather, the lack of storage means food runs out before the next harvest and prices rise rapidly. When the cost of food increases the most vulnerable families simply can't afford to buy enough food and they go hungry. This project provides local food storage in the village of Namalu so that when traditional stores of food run short we can sell food to the 100 most vulnerable families at low and affordable prices. The most exciting thing about this project is its potential for long term impact. 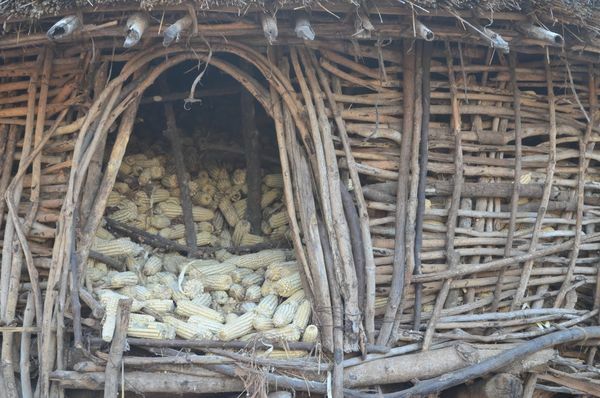 When the most vulnerable families in Namalu cannot afford the market price of maize we are able to sell maize at heavily subsidised and affordable prices. The money that is recouped is used to re-fill the silos and the cycle continues to run to benefit 100 vulnerable families every year. Since the scheme began three years ago we estimate more than 1,000 families have benefited. When running at full capacity the scheme will provide increased food security for 10,000 of Namalu’s most vulnerable people during the year’s toughest months. FOAG creates a low-interest loan from your donations. 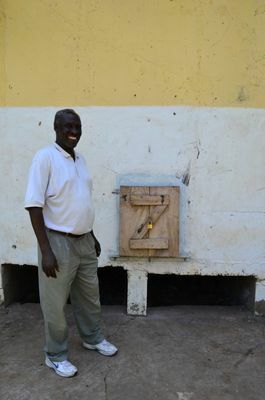 Working with our local community enterprise, CIRIDE, they use the loan to pay farmers a fair price for their produce and stores the food (mostly maize) in local silos. Later in the year when food is getting scarce and expensive, the community has its own secured supply of food in the silos, which they are able to buy at an affordable price. We then uses the money from the sales to reinvest back into the scheme year after year. With this scheme your donation is working hard and growing and growing. Namalu is in the Karamoja Region of northeast Uganda. 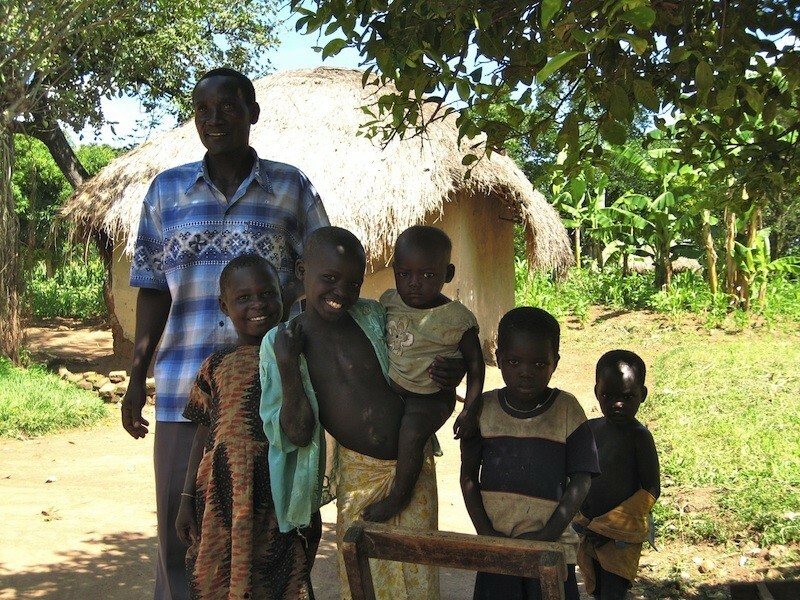 The population of the Namalu district is around 50,000 but the population of Karamoja is just over 1 million. 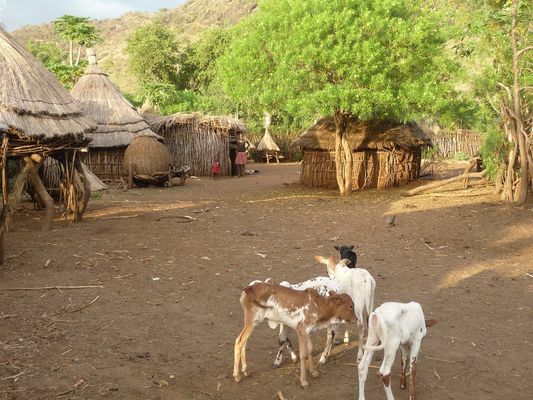 Human welfare and living conditions in Karamoja are among the worst in the world. 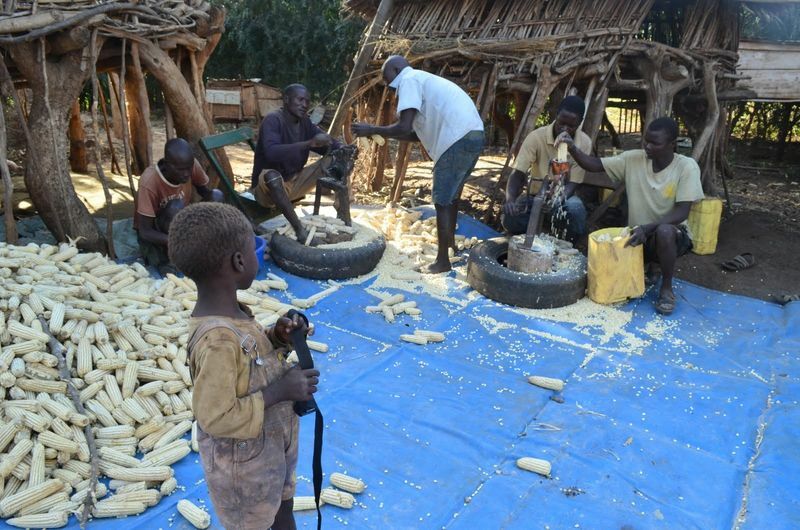 Extreme weather events over successive years have affected crop yields, pushed the price of food up sharply and left thousands of Ugandans critically short of food. But even when the growing season is unaffected by severe weather, the lack of storage and need for money construes to push the price of food up rapidly.